This volume looks into ongoing research and latest advancements in the field of sensor data fusion. Particular attention is given to scientific theories and mathematical algorithms and their applications to information analysis, information management, and radar and defense technology. Of particular interest is the lead article in the volume by Jean Dezert, that presents a potential theoretical breakthrough. Editorial. "Reasoning and Object-Oriented Data Processing for Multisensor Data Fusion." Information & Security: An International Journal 9 (2002): 5-10. Semerdjiev, Tzvetan. "The Genetic Program: A Technocratic Hypothesis on the Paradigm of Civilization." Information & Security: An International Journal 9 (2002): 70-90. Monitor, ISIJ. "In memoriam." 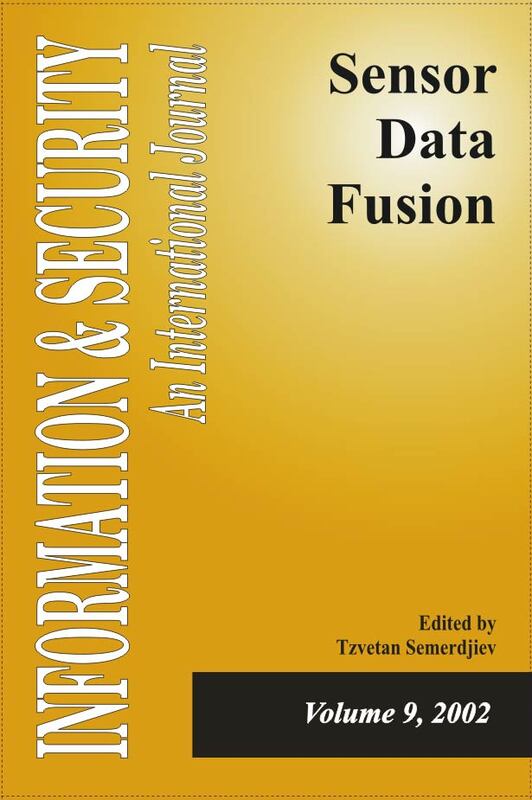 Information & Security: An International Journal 9 (2002): 177-179. Monitor, ISIJ. "Center of excellence for Education, Science & Technology in 21 Century (BIS-21)." Information & Security: An International Journal 9 (2002): 180-182. Monitor, ISIJ. "Work Package: Real-time Data Processing in Adaptive Sensor Interfaces." Information & Security: An International Journal 9 (2002): 183-184.